Modern day wizard Felix Slade knows better than to meddle in the lives of witches. But when a chance encounter with a beautiful witch, Gabriella, sparks a vision of her demise at the hand of a werewolf, he knows he must act. To make matters worse, his vision reveals feelings he has for this woman he's only seen from afar and in that moment his life is changed forever. Trouble has been brewing in sleepy Leotown, but explodes when Felix witnesses the gruesome murder of Gabriella's coven leader and ends up number one on a short list of suspects. It's a poor start to their relationship when Gabriella and her coven sisters attack Felix while looking for answers. With her foot literally on his chest, Felix begins to doubt what he felt in his vision - that is - until the werewolves actually show up. 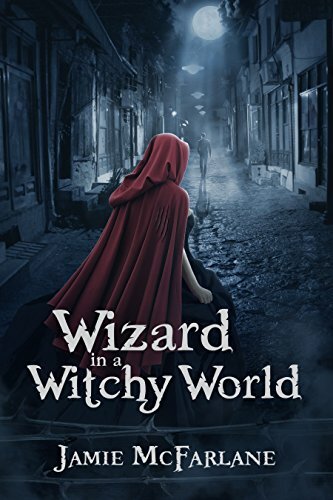 Wizard in a Witchy World is the first book in the Witchy World series - an urban fantasy, paranormal fairy tale.